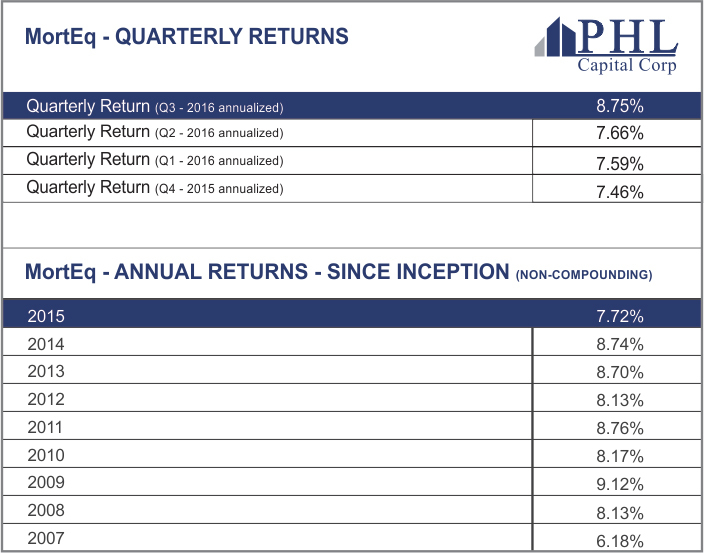 MortEq Lending Corp (MLC) generated a quarterly return of 8.75% (annualized) for Q3 – 2016 (Q2 – 2016: 7.66%). Follow us on Twitter @phlcapitalcorp. Get updates on our new deals and relevant real estate related articles. On behalf of our team, thank you for your continued support. © 2019 PHL Capital Corp. All Rights Reserved.